New Port Richey | Balanced Air, Inc.
You probably don’t know much about the central air conditioner in your home except that it cools you down on hot Florida summer days. 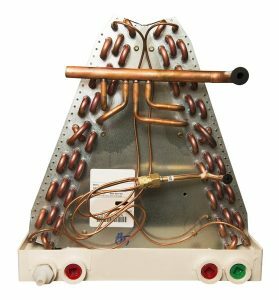 You may know it works similar to a refrigerator, moving refrigerant between two sets of coils, and that it uses a compressor to run. But unless you work in the HVAC industry or are enthusiastic about the science of refrigeration systems, this is probably where your knowledge stops. And that’s fine! It’s why you have HVAC professionals like us around when you need AC repair in New Port Richey, FL or any other air conditioning service. Only technicians with special training and tools should handle fixing or installing a central air conditioner. You can trust any job to us. 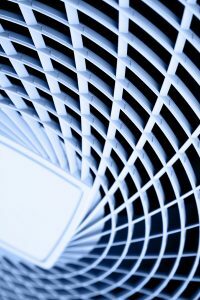 But we thought it would be fun to share some facts about your air conditioner you may not have known. These facts won’t allow you to do any DIY work on the AC, but they will help you understand how the system works. When a heater stops working in a place where temperatures are frequently below freezing during the winter, it’s an emergency situation. The best course of action is to call for HVAC professionals right away to get the trouble fixed before the deep freeze gets into the house. Here in Florida, the situation with heaters is different. We don’t rely on them as often, and when one stops working during one of our colder days, it’s more of an inconvenience. That doesn’t mean you should ignore the problem and just hope it somehow “gets better.” It won’t, and you’ll have an unhappy household on your hands pretty soon. You can first take a few steps to check on what might be wrong with the heater before you call for professional heater service in New Port Richey, FL to fix it. We’ve often discussed heat pumps on our blog because they are one of the most efficient and effective options for total home comfort around the year in our climate. You won’t find many heat pumps sold in the northern part of the country, where they can sometimes encounter efficiency trouble in sub-freezing temperatures. Now that’s not a situation a New Port Richey, FL, HVAC system has to face! Heat pumps can do great work at their highest potential efficient twelve months out of twelve. But you should never go leaping into a purchase for a new HVAC system, no matter how many wonderful things you may hear about them. We think heat pumps are great, but we want to give you some advice about them—a few things to consider before you make a decision about installation.